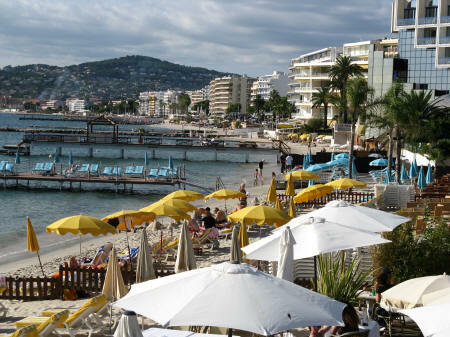 Juan les Pins is a popular beach resort area located just west of Nice France. It is home to a lovely sandy beach and many hotels and restaurants. Juan les Pins can easily be reached from Nice by city bus or train.